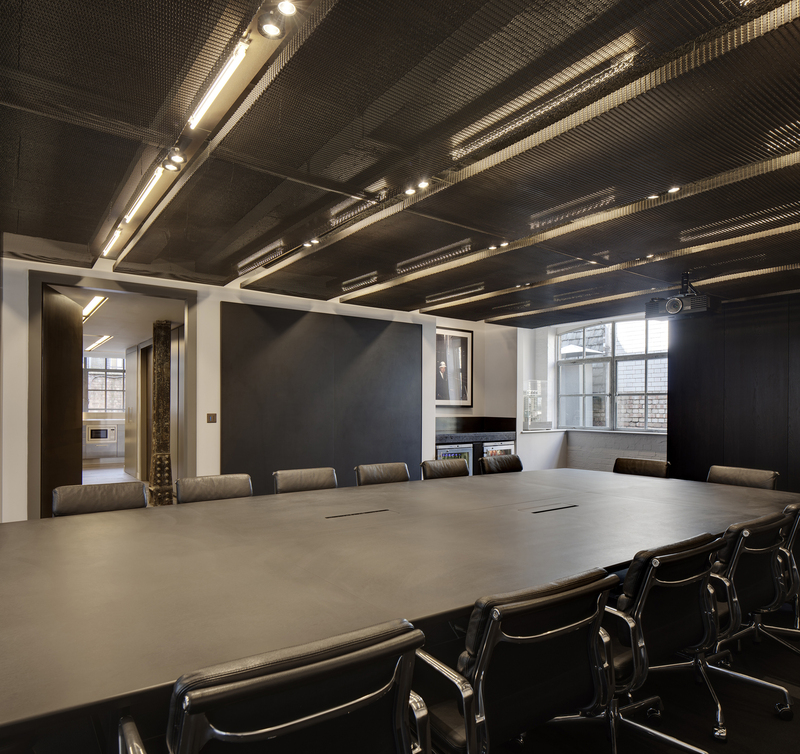 We have created a new floor of meeting rooms for the real estate fund Brockton Capital LLP, in Wardour Street, deep in the heart of Soho, London. 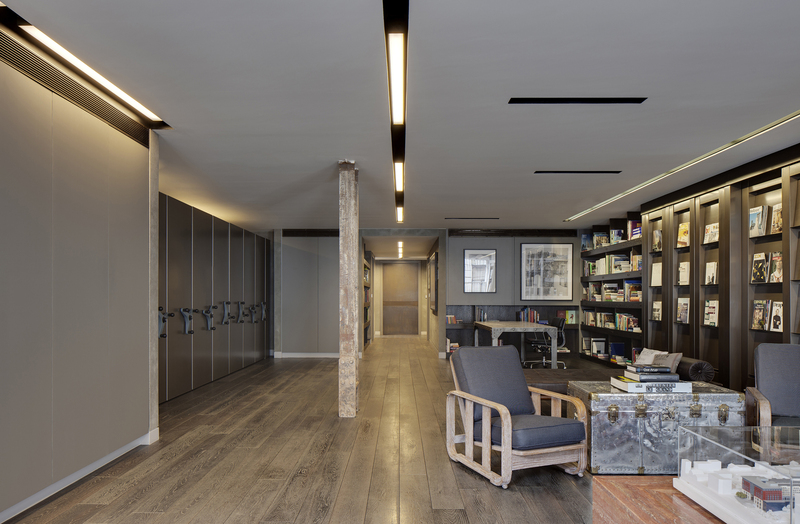 The design brief was for the reconfiguration of an open-plan loft space into a reception area with a series of private meeting rooms and an impressive boardroom. 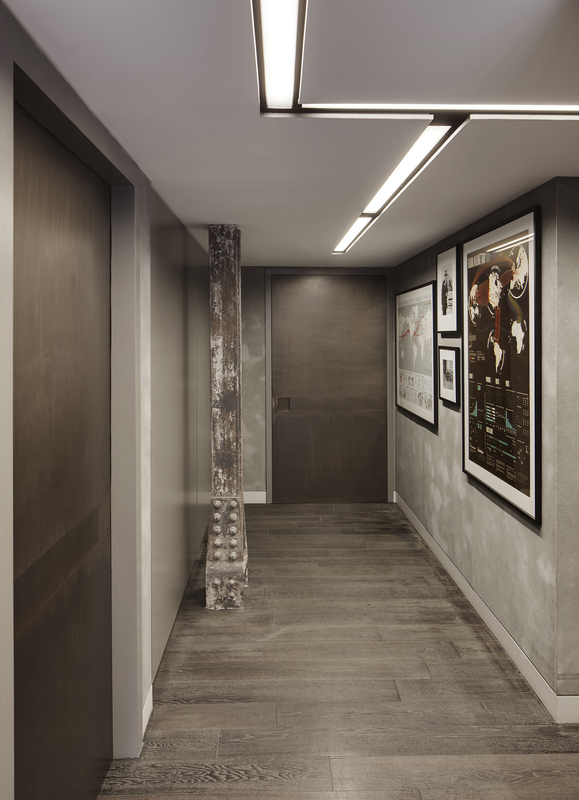 The client has a passion for contemporary architecture and design and their partners are admirers of the great Modernists – so this was the starting point for the project’s design direction. 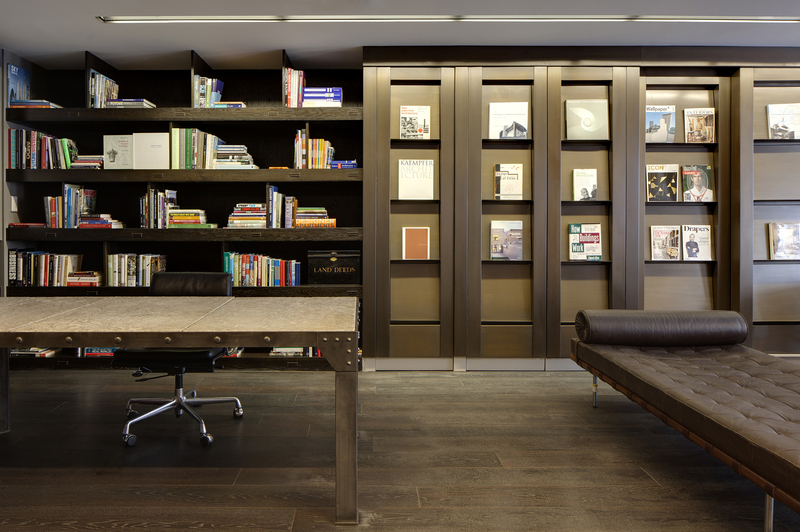 The high-specification fit-out called for close attention to detail and precise execution. 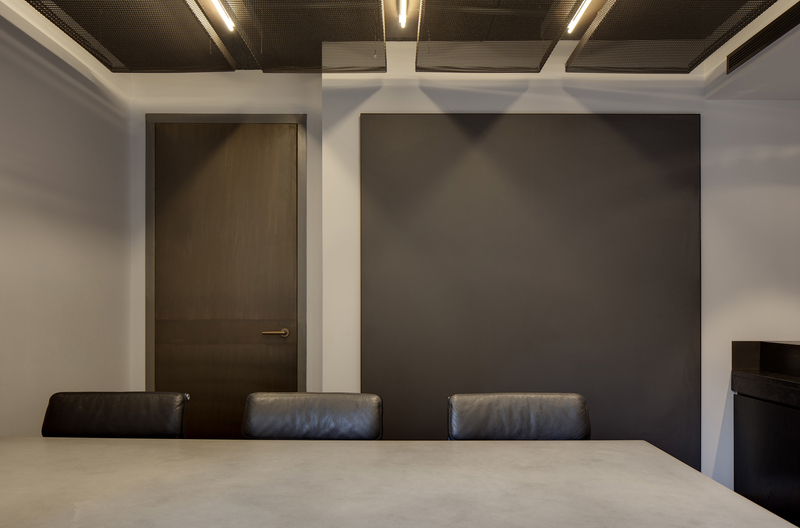 The client’s exacting brief requirements for spatial arrangement and acoustic privacy were paramount. 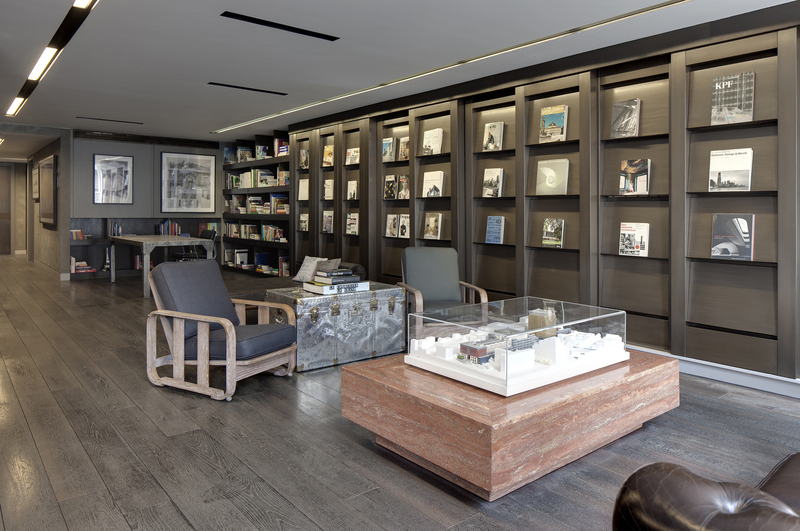 The formality of a traditional reception area is replaced by a library and lounge, where impressive bronze sliding panels and dark joinery shelving showcase the client’s large collection of monographs and periodicals. 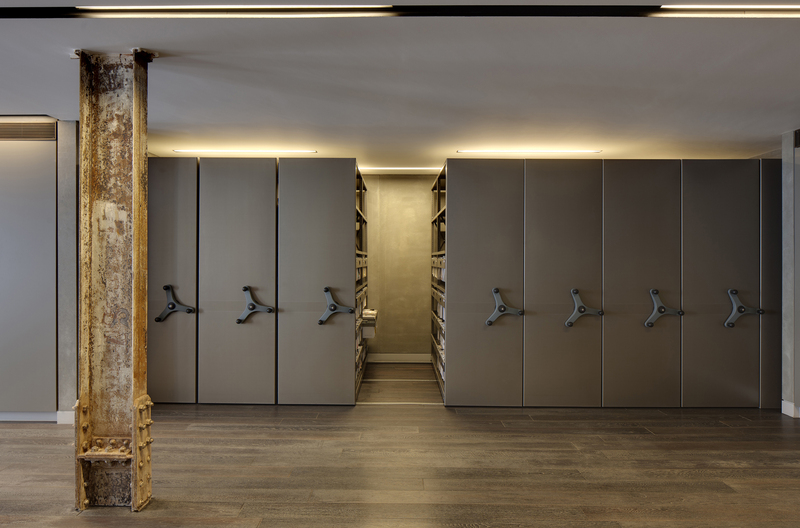 This is contrasted by the expressed on-site archive, custom- ised to be reminiscent of the vaults of a private bank. The palette combines the sophisticated with the utilitarian: Rackline industrial mobile shelving, Vivalda cement-board cladding, Abet Laminati magnetic chalkboards, metal mesh ceiling panels from Locker Group, custom-bronze plated metalwork and ironmongery, and heavily- textured Troldtekt acoustic ceiling panels. 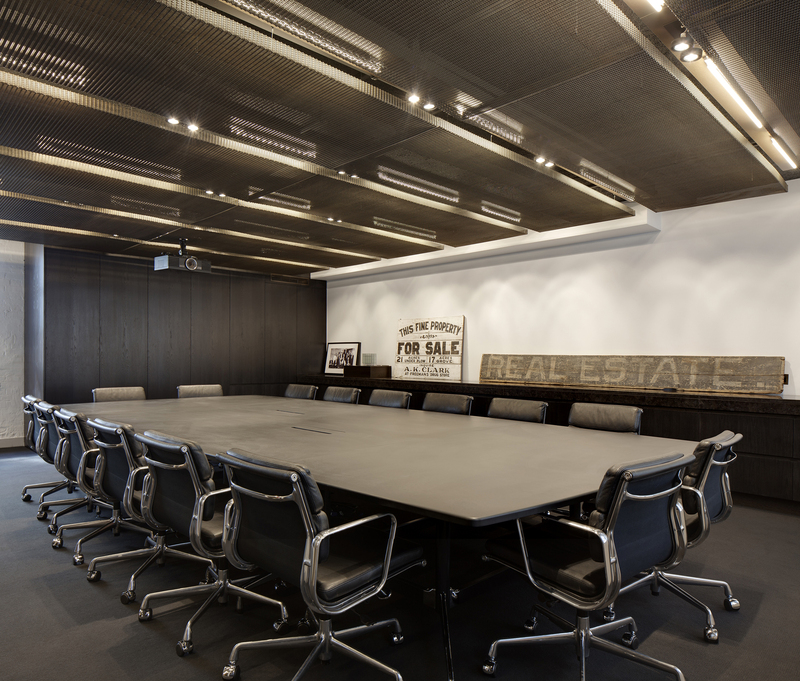 NDY Light were the lighting consultants on the project, and the Mode-controlled scheme gives the client full control of the ambience in each space, with fittings by DAL, Inox and Zumtobel. Furniture is a mixture of vintage pieces and bespoke meeting tables composed of custom Vitra Eames bases and unique tops: pale-grey cast concrete by Low Info, and Richlite which is a paper-based solid-surface material. 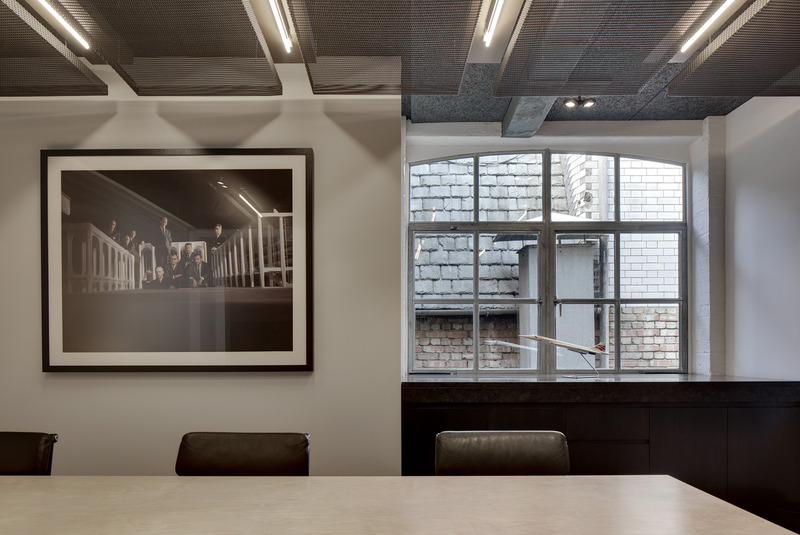 The new space evokes a feeling of timeless quality, an ethos that could be suited to an exclusive members’ club, and reflects the aspirations of the client for an atmospheric and inspiring work environment.